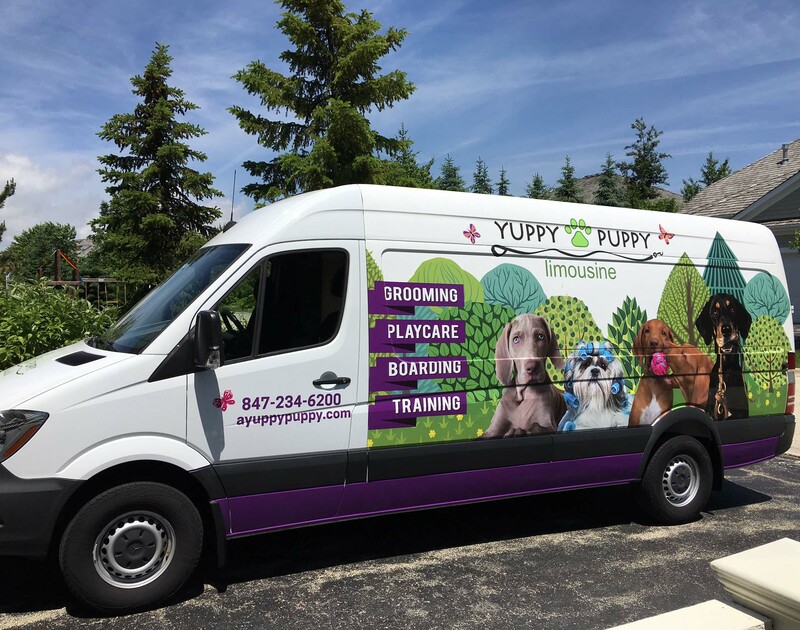 Yuppy Puppy is the premier indoor dog playcare and boarding facility on the North Shore. We’re truly a remarkable place and would love for you to stop by for a visit …and by all means, bring your four-legged friend too! We’re proud to have dedicated almost 1,000 sq. ft. exclusively to small, senior and special needs dogs. They now have their own quiet place to play away from the bigger, more active dogs in the playcare pens. Your senior and special needs dog will receive plenty of love and one-on-one attention all-day long from our front-desk staff. 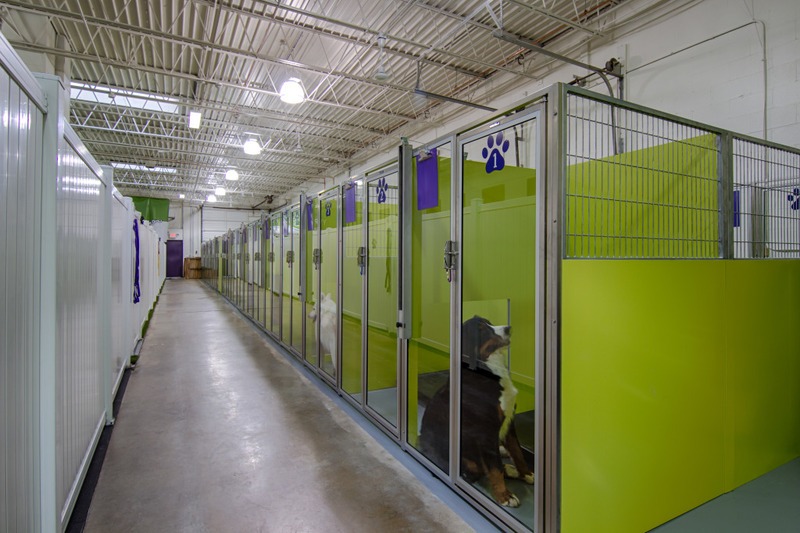 Our forty new luxury custom kennels are constructed using high-grade, sound absorbing acrylic PVC side and back panels, and a tempered glass front door. There are four spacious sizes to accommodate all size dogs as well as multiple dog families. While in their kennels, all dogs sleep on the industry gold standard petcots with fleece covers available at your request. 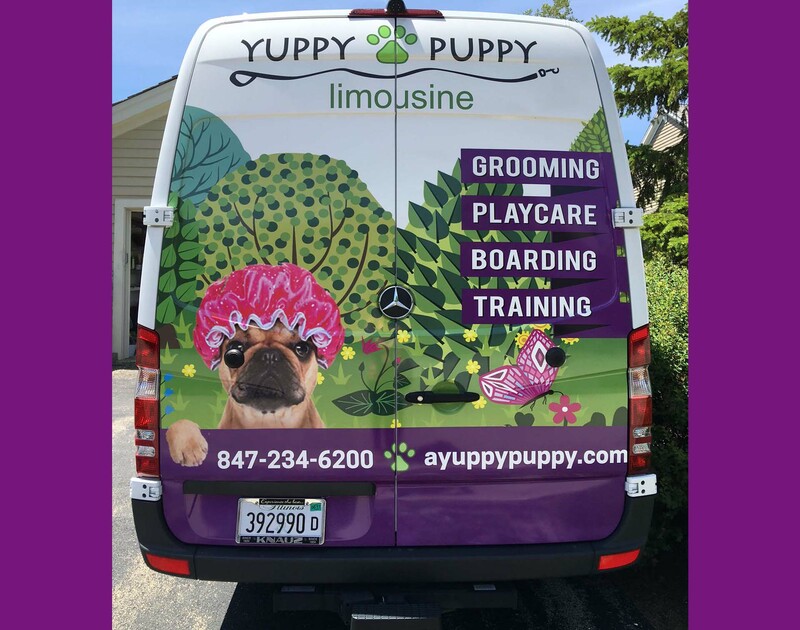 Whether you’re on the go, at the office or around the house, you can watch your precious friend play and stay at Yuppy Puppy during the hours of 9am-4:00pm. Our Puppycam can be viewed on both iPhone and Android smartphones. Our floor plan is designed to respect the patterns and habits of dogs. Just like at home when your dog sees or hears someone approach your front door and starts barking, the same thing happens in a dog day care facility …only dozens of dogs start barking at once. 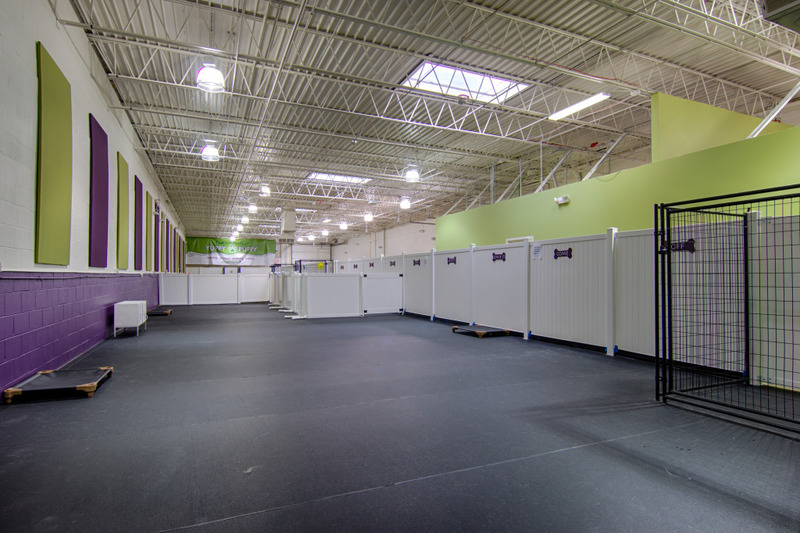 In order to minimize the physical and psychological stress that loud noise has on both dogs and humans, we’ve utilized six-foot-high privacy fencing in the playcare areas to eliminate the visual distractions that lead to barking. We’ve covered 70% of our wall space with 3” acoustical sound panels. 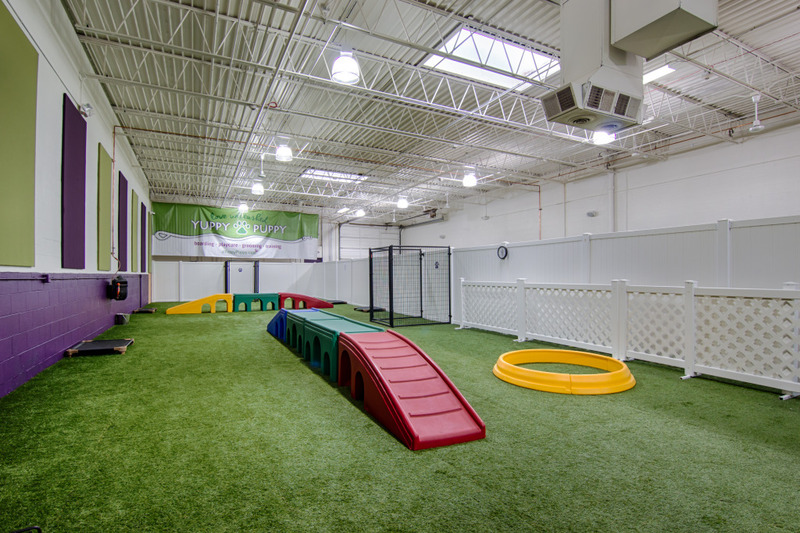 Due to the extremely high cost of sound-absorbing acoustical materials, no dog daycare and boarding facility in the Chicago area has made this kind of investment in noise reduction. Our in-duct commercial air purification system includes an ultraviolet light to prevent air-borne transmission of respiratory infections such as canine cough. This also destroys odors and pollutants in the air and on surfaces before they have a chance to reach your dog or our employees. This is critical to the health of your dog while exposed to other dogs for long periods of time.